For many of us, the summer months have flown by in a fog of activity. Before you know it, the leaves will turn and cool temperatures will set in. To make the most of the last days of summer, the UW Health Mindfulness Program offers you four ways to slow down and savor this precious season. Take a late afternoon or evening walk or drive, in your neighborhood or on your favorite trail, and bring attention to the quality of daylight that extends into evening. Notice the light and the sounds around you and their changing qualities as daylight fades. You may be drawn to notice the colors of the sky at the horizon, blinking lights of fireflies, or chirping insects. Take a few moments to allow the senses to take it all in. The mind may fast-forward to thoughts of shorter days ahead, with excitement or apprehension. It’s a natural pattern for the mind to look to the future. For this moment, however, rest the attention in the experience of a summer evening. 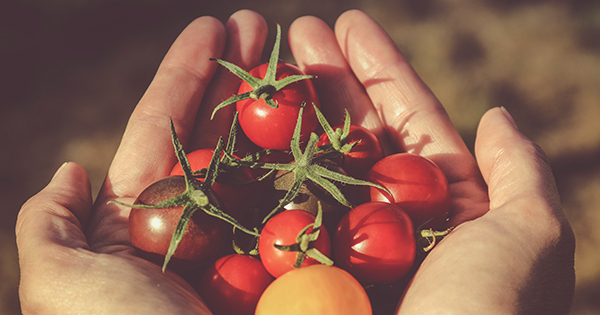 Enjoy the bounty that summer brings by eating some locally-grown fruits or vegetables, whether from your own garden, from one of the many farmer's markets in the area, or from the locally-grown section in your favorite supermarket. Notice the vibrant colors, shapes, smells and tastes of the food. Take a few mindful bites, noticing the textures and flavors as you bite into it, chew and swallow. Perhaps also take a few moments to recognize and appreciate the soil, water, sun, and human hands that helped to grow this item and make it available. The summer temperatures and weather make such a harvest possible. Experience a moment of gratitude through food. Step outside and notice sensations of sun and breeze on skin. Notice the warmer air that surrounds you and that you breathe in. Feel the lightness of summer clothing. Maybe take a few barefoot steps, noticing the sensations throughout the feet of walking in direct contact with the grass, the sidewalk, or the earth. Find a spot where you can pause, perhaps sit or lie down, and spend a few moments gazing at the sky. Notice the quality of the colors in the summer sky and watch any clouds present as they shift and move, ever-changing in nature. Be curious about cloud shapes and identify the animal or object they resemble. Invoke a bit of childlike curiosity for a few moments of summer sky gazing. Purposefully spend a few moments tuning in to the sounds of summer, such as birds singing and squawking in the early morn, the clamor of children playing outside, voices of neighbors talking nearby, the mechanical hum of a lawn mower, or the buzzing of cicadas as evening falls. Be curious about the sounds around you and notice the qualities of different sounds as they arrive to your ears. Notice too as the mind questions or puts judgments of like or dislike on certain sounds. See if, for these moments, you can allow the questions and judgments to soften and simply listen to summer. In celebration of the 25th anniversary of the UW Health Mindfulness Program, we are offering a reduced class fee for the 8-week program. To register for a Fall 2018 class, visit uwhealth.org/mindfulness.